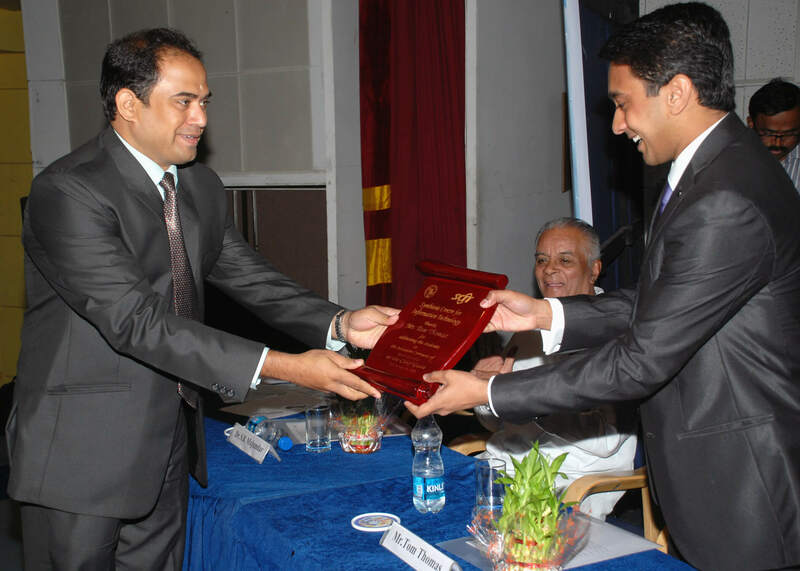 Induction ceremony for MBA(ITBM) Batch 2013-2015 was on 6th June 2013. All the students from 2013-2015 batch and many parents attended this ceremony at SCIT –SIC Auditorium at Hinjewadi Pune. 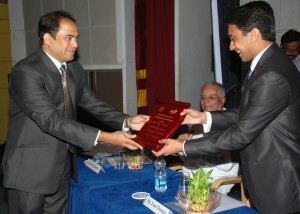 It has now become a custom to invite one among the many successful SCIT alumni to be the Chief Guest for the Induction Ceremony and this year we had Mr.Tom Thomas – VP Glodman Sachs (an SCIT Alumni who passed out in the year 2007), who accepted to our invitation and addressed the new batch of students. After hearing his address and the success that he has achieved in such a short span, he has become a role model of many in the who have taken admission to the MBA (ITBM) program. Induction Ceremony 2013 was truly blessed with the presence and address by Hon.Chancellor Padmabhushan Dr.S.B. Mujumdar, and Principal Director Symbiosis Dr.Vidya Yeravdekar . Raman﻿ Sir :Thank you so much for such an amazing Opportunity to interact with great minds bubbling with great ideas. Its great to hear that we had respected Mujumdar Sir himself to grace the induction ceremony !! Great going sir !! Wish you all the best to you and the staff for the new academic season.. Hope to meet you soon in future. One of the best ceremonies I’ve ever seen. The interaction with the alumni was truly motivational and equally useful to clear all our doubts and anxiety..
And the speech given by Raman Sir was seriously exceptional! “It’s all in your hands” is one lesson I’d never forget.. I am really grateful to you and SCIT for providing me the opportunity to interact with the current batch. I reall y enjoyed the session.